Assisted living at Heritage is surprisingly affordable. One of our primary goals is to be the best health-care value in Knoxville. We accomplish this by maintaining a single flat rate for all the services we provide. The industry standard is to have levels of care with graduating higher rates for each level of care required or services provided. Assessments for levels of care are made routinely and rates increase accordingly. At Heritage, a single flat rate covers all routine services and amenities. Our fee will not increase in the future because you need additional assistance. Residents and families indicate that our adherence to this single consistent fee is extremely unique and an important factor in selecting Heritage. When planning for assisted living, many find that the combination of two or more resources (social security, a pension, V.A. 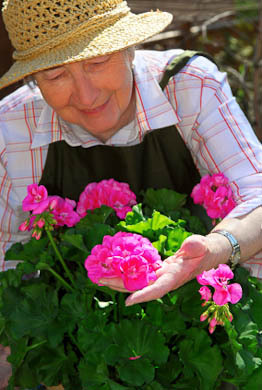 benefits, insurance, savings, or sale of even a modest home) can cover the cost of assisted living for many years. Your freedom to come and go is similar to being at home or in a private apartment. Heritage provides services for a wide range of needs. We have residents who continue to drive and keep their personal vehicles available for daily errands. Others find it easier to only go out with friends or family. Either way, each person is free to come and go as they please. Can we bring our own furniture and furnishings? Most definitely. In fact, we prefer that you bring your own furniture. The transition from home to assisted living occurs most smoothly when residents bring their own furniture. Being able to sleep in your own bed, use your own dresser and watch TV in your favorite recliner makes new surroundings feel more familiar and comfortable. This helps greatly to ease the transition process. We go a step further and encourage residents to hang their own photographs and art work on the wall, creating the perfect home-like environment. All rooms are furnished with blinds for privacy.